How does Ms. Paraiso use moral reasoning conversations to prepare students for socratic seminars later in the year? How does Ms. Paraiso use technology to scaffold her instruction? 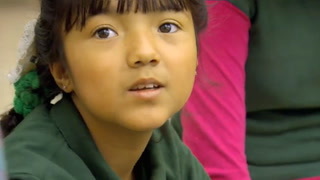 How does this conversation help students to engage with a challenging text, especially English Language Learners? The teacher uses technology to facilitate note-taking for all her classes with the ability to record students' feedback and share it easily on Padlet. She also uses surveys to record feedback and video to show a "how-to" video on the process. Having models, clear expectations, list the norms, and small group discussions help students learn how to have Socratic Seminars, especially the EL students. Starting with moral conversations is good starting point for students as they have their own viewpoints and are interested in hearing others' as well and it is connected to a book they all read. The teacher does a good job in scaffolding the process of Socratic Seminars as she is chunking it for students. Students need to be prepared to participate in a full class Socratic seminar and Ms. Paraiso does an excellent job with class scaffolding so that her student will be able to have a formal discussion, based on a text, in which the group leader asks open-ended questions. Within the context of the discussion, students will need to listen closely to the comments of others, thinking critically for themselves, and articulate their own thoughts and their responses to the thoughts of others. Ms. Paraiso uses scaffolding for the Socratic seminar by using moral reasoning conversations allowing the students to help one another understand the ideas, issues, and values reflected in the text through a group discussion format. She lets students answer an open-ended question on their own first in their chrome books, and then has them share their journal entries with the group aloud with an emphasis on the Common Cores listening and speaking standards. She is teaching the students how to paraphrase by using technology first, then allowing the students to share their thoughts orally, and then in writing. Ms. Paraiso’s scaffolding strategies include allowing the students to address the open-ended question with a quick write, then having them listening to others address the question orally, and then revisiting the text. Further scaffolding includes having students watch a film clip showing their peers in a prior class engage in discussions about the text, which Ms. Paraiso says is a powerful way to make the students in her current class feel comfortable working together and sharing ideas. Ms. Paraiso also uses technology, a padlet that she has created, to have students share out the norms for discussion, another step in the scaffolding for the whole class Socratic seminar. 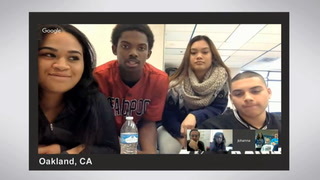 Students will ultimately be responsible for facilitating their own group discussion around the ideas in the text and scaffolding and modeling the type of discussions they should be having around the text lets students practice how to listen to one another, make meaning of the text, and find common ground while participating in a group conversation. So, why is bringing up twins ( one being handicapped) looked upon as a negative aspect? Why is the teacher insisting that being handicapped viewed as a negative. She is teaching and planting a seed in these children's minds to look down upon handicapped peope as " less than" and something to be avoided. Again this is not creating equality and going against the equality that we are all aiming for. I sugges a politically correct instructor should have used a different example besides handicapped as being a negative. She prepares the students with the moral reasoning conversations to prepare them for Socratic seminars later by giving them questions that have no right or wrong answer. These questions are just opinions and could change or form throughout the discussion. It is important that the student pick a side pro or con and talk about their evidence. 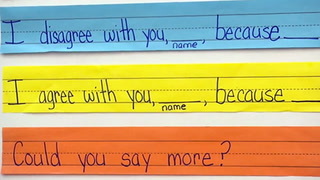 This is great for listening and speaking and allows EL students to contribute without being wrong or right. She also throws a wrench in the questions by adding a layer of complexity that gets the students to choose one way or the other and defend it but also introduces other layers and opinions. She uses technology to scaffold by giving them a warm up and then discussion. She also uses padlet and the video to get students to learn from other students who have already done the Socratic seminar. 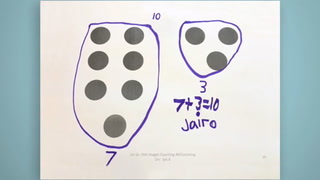 This is important for ELL to see that this is possible and that other ELL students have already successfully completed the task. Students also use Chromebook to take notes, answer surveys, and answer questions to help them get their ideas and perspectives flowing. She helps students engage with the text by relating Brave New World to technology and issues that we have in our modern times. She has them talk about eugenics, genetics, and debating about these subjects that are relevant to all students. I agree that the use of technology is effective for this seminar and it is also engaging and motivating for students because it elevates and enriches the discussion by providing multiple modes of communication true to our modern lives. The padlet and video further expands the students experience with the topic because they interact with previous seminar participants to gain additional perspectives and build language and vocabulary experiences contributed by other seminar participants. Johanna Paraiso: The name of the game today is all about arguing constructively when it comes to certain things in Brave New World. Johanna Paraiso: You guys, everybody's got a Chromebook. Your warmup is online. Everything's hyperlinked today. Johanna Paraiso: Today's class was about being given scaffolding instruction that will eventually lead them to a future class, where they will be able to do a whole class Socratic Seminar. All student facilitated. Be able to have an academic discussion, as a whole entire group about the text. Johanna Paraiso: We're gonna start by warming up your own brain to figure out what side you are on when it comes to certain themes in the book. Johanna Paraiso: So it's more than agree/disagree. Please don't be afraid to put whether you strongly agree or strongly disagree. Student: What if you're like in-between? Johanna Paraiso: Oooo, what if-- you have to pick a side. C'mon, force yourself. Johanna Paraiso: We study Brave New World, because they can relate to the technology part very easily. The language is very challenging, but if I can find different ins, this is one of the ins, is examining what technology does to humanity. Johanna Paraiso: We want to hear from everybody today. We're building to the ending, towards more-- towards the end of class where you will be debating and having a moral conversation about genetics, embryos, bebes, okay? Johanna Paraiso: Up until now, what we've been doing to prepare for these kinds of-- this more reasoning conversation is we have conversations in general. We are not afraid of student talk here. From Day 1, having to share what you wrote in your journal, from Day 1, understanding that we are going to get to the point where we're having whole class discussions. Johanna Paraiso: Miss Anastasia, can you read six? Anastasia: "Human being can be programmed to certain types of behavior to achieve stability within a society." 6) Human beings can be programmed to certain types of behavior to achieve stability within a society. Johanna Paraiso: So everybody reread it to yourself. Johanna Paraiso: The Common Core is asking all students to look at different types of non-fiction text. And part of being able to examine all kinds of texts is can you actually have a conversation about the text? Like can you start there? Can you actually talk and listen? And what I appreciate in the Common Core is the emphasis on listening and speaking. I feel like there is just more attention being paid to a person can demonstrate mastery in an area like this, because they can read, say what someone else said. They can paraphrase. Johanna Paraiso: I start first with how many people had trouble with the prompt itself? Anastasia, Zaria. How many-- ooo, whoosh! Whoosh! Okay, well let's then talk about the prompt. Let's clarify. "Human beings can be programmed to certain types of behavior to achieve stability within a society." Remember in Brave New World, community, identity, stability and you made connections to those words. Somebody take a stab at what they think this might mean if they had to paraphrase it? Student: I think it means that you just have to adjust what's going on around you, and like your surroundings, like, because you don't want to be like the outsider or be different from everyone. Johanna Paraiso: Does that make better sense to folks that were really struggling? April, you want to add? April: Humans are programmed to think one way in order, like to behave one way in order to fit into society basically. Johanna Paraiso: What I'm teaching in my class is communication. I want my students to be able to communicate in multiple forms. I want them to be able to articulate themselves orally. I want them to be able to write well. And when they read, I want them to make connections with what they're reading. Johanna Paraiso: So we're warmed up. Go ahead and shut computers for now. Johanna Paraiso: After the warmup and after the discussion, the students then watched film clips. And we watched film clips, in this case, of students at from before. Because I think that it is important for my students now to see the work of others that came before them. Johanna Paraiso: You will be taking notes. We can't watch film clips without annotating somehow. And in your Writer's Notebook, can you just put "Brainstorm of Norms"? That's it. When you take notes, what do you notice about student behavior? Like what do you notice that they're doing well? Where do you notice that you might do the same behavior? Where do you notice that it didn't go so well, if you see something. Okay? Student: This is my Period 4 class and the Socratic Seminar officially begins now. Student: By me going through the feedback and highlighting it, not only-- the study had good presentations, what made their presentations from choices, just saying basically their personal experiences made it engaging into including their content in their presentation, which they found like they was very passionate about. Johanna Paraiso: Being able to use footage like in that legacy style is important. Johanna Paraiso: Because that to me is-- my students, the other English Language Learners that are articulating themselves very well on film, and they know that it's possible. Being able to show student work is so much more powerful than e direct lecturing on anything. Johanna Paraiso: That's where we're going today. This type of a conversation. We're going to do a quick brainstorm. I'm going to capture the data. I'm going to use PadLet so that we can create a class list across all three senior classes. We're going to look at norms for discussion. So what did you notice? Student: I see the student trying to give advice to the future upcoming seniors. Johanna Paraiso: Did you listen? Student: I seen a lot of eye contact. Student: And that's like, I don't know, eye contact, you know, if I'm talking and I see someone paying attention, you know, and I feel their eyes on me, that means they're engaged and then they actually want to listen to what I have to say. Javon: Everyone took turn to speak, and didn't cut nobody off. Like nobody didn't feel like they had to say was bigger than somebody else. Johanna Paraiso: What did you mean to you to be able to see people that you knew up on film? Be honest. Zaria: It made me feel comfortable. It made me feel like, "Okay, if my friends could do it, then I could do it." Or like, basically like my friends were engaging in this conversation, so I could be able to engage, too. Johanna Paraiso: We were ready at that point. We-- a lot of prep work to get there so that they could actually have the conversation. I actually choose the groups ahead of time, because I want to make sure that there's a balance that my long-term English Language Learners, that there is-- that there's just balance. I want to make sure that everybody has a chance to speak. So it's not just about language ability. I'm looking at personality, I'm looking at gender balance. Johanna Paraiso: You are going to start with a quick write. The prompt is, "What if you could screen embryos for diseases before they became babies?" What if you could screen embryos for diseases before they became babies? What if you had the power to choose the traits your baby would have? Johanna Paraiso: So there's-- that's one of the questions. "What if you had the power to choose the traits your baby would have?" Would you use that power? Johanna Paraiso: What I love is that even simple like reasoning why still makes you write as a student. You still become a part of that conversation. And as a teacher, and in my walk-around, I'm particularly noting my English Learners and what they're saying, because those are the kids I'm going to think, "You know what? If I brought what they're saying as one of the complexities when I do that part of it, that kid feels a little bit more special. What they said mattered enough, and so now the teacher introduces it to everybody else. Johanna Paraiso: All right, are you ready? Johanna Paraiso: All right, go ahead. Student: We don't have the power to choose. Only God does. I think I'm just gonna leave it like that. And just gonna be what it's gonna be. Student: I agree and disagree with you. Because like if we had that power, because then people would abuse it and people would make perfect babies every time. Johanna Paraiso: As the facilitator of all of this, my job is to kind of-- what am I hearing? Because part of the rounds of more reasoning conversation is that you throw some type of complexity in there. A wrench, something that jars the thinking. Johanna Paraiso: So here goes, you have two. They are twins. You got that much so far. You have one that has some type of a disability, some type of a disease, something that'll just make that child wheelchair-bound forever. Okay. Then you have another one that's perfectly healthy. Here's the wrench, though. If you were to screen the disabilities, like get rid of this disability here, that means that you're also saying no to this one. Zaria: You gotta take that one away, too? Johanna Paraiso: This one goes, too. Johanna Paraiso: Or keep neither. Johanna Paraiso: Part of it is teaching the students, you want to have your perspectives and you want to be able to name it and defend it and stick with it. But then, that doesn't mean that you don't listen to other perspectives. So part of introducing a wrench is to give them, "Well, here's this other layer, though, that we may or may not have thought about." Student: I wouldn't want my kid to go though life like suffering, like saying, hooked up to a breathing machine, in a wheelchair like all life, they could do so much but like having to breathe through a machine, that's not living. Student: I had an auntie that had twins, and it was like similar to that. So I'm here like, I'm stuck. Johanna Paraiso: We're going to go through the more reasoning conversation a few more times. Gonna look at Chapters 1 and 2 of "Brave New World," and pull-- I like to create scenarios based on the text. So when they see them in the text, something's clicking. Like, "Oh, we talked about this." And then when they actually get to the writing, when they're actually answering analysis questions, then they're just remembering things that they talked about in conversation before that. Johanna Paraiso: Wrapping up last thought, and hold it. Whoosh! Good, okay. That's where we want Socratic Seminars to end. Non-closure. We want it to end on a place, though, where everybody feels like they were heard. I want to acknowledge the awesome. Well done. That was your first moral reasoning conversation. Johanna Paraiso: You're pointing out to them, "This is hard. It's expected that you struggle. It's expected that you're going to struggle with defending yourself in conversation. It's expected. So be okay with that." Johanna Paraiso: These questions about engineering genes and people, that's happening. So that is our novel. That is our text we're trying to connect to. Structurally, we're practicing the discussion piece, right? Because very soon you will be in full Socratic Seminars. That's what we're trying to gear up for. All right! You guys are awesome!